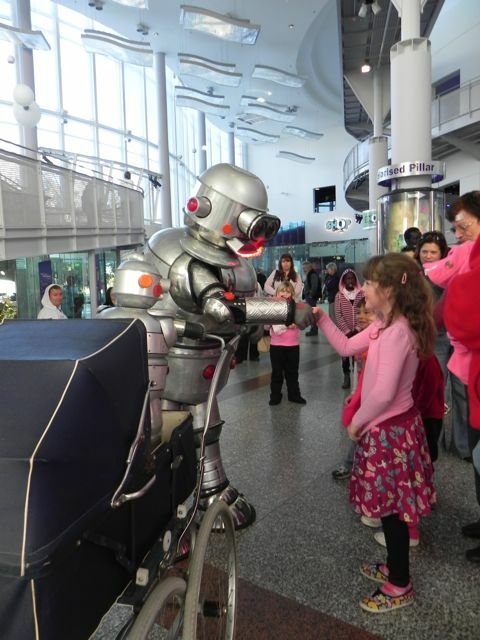 Tubby the Robot brings humour, focus and sense of wonder to cultural institutions and events. He actively engages visitors to build a story around their visit, extending their experience in playful and surprising ways. We provide ‘meet and greet’ experiences for the general public or members only events, school holiday entertainment and educational shows. Tubby and his chaperone can assist with crowd management and queue entertainment, making the visitor’s experience of coming to your venue more welcoming and fun. In addition to our established repertoire, we can create customised shows and installations to suit your program needs. Contact us for more details.